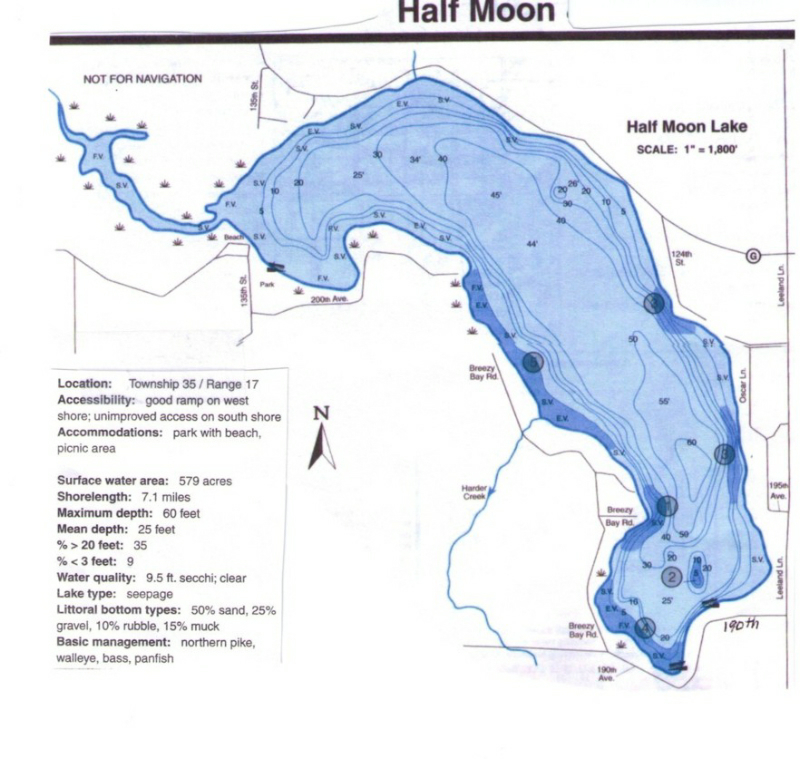 Half Moon Lake is one of the clearest lakes in Polk County. With 579 acres and a maximum depth of 60 feet it is a fully recreational lake with great fishing. This is a really nice lake that at times is difficult to find properties for sale on.